Director’s bio - EyeSteelFilm - the adventures of Montreal's award-winning filmco. Lixin Fan (範立欣, Fàn Lìxīn) based in Montreal, was born in and grew up in China during times of modernization.He began as a journalist with the national television broadcaster China Central Television (CCTV), traveling the country and experiencing inequality caused by China’s rapid economic expansion. As a result, he become a documentary filmmaker with a focus on social issues. 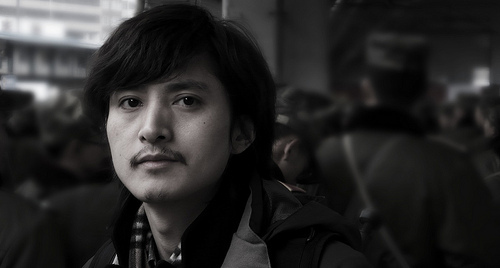 Last Train Home is Lixin’s debut feature documentary as a director. Lixin was editor of the 2002 film To Live Is Better Than To Die about China’s AIDS crisis which was featured in the Sundance Film Festival and broadcast on BBC, CBC and PBS. He also worked as an associate producer, sound recordist, and translator on the acclaimed 2007 feature documentary Up the Yangtze.